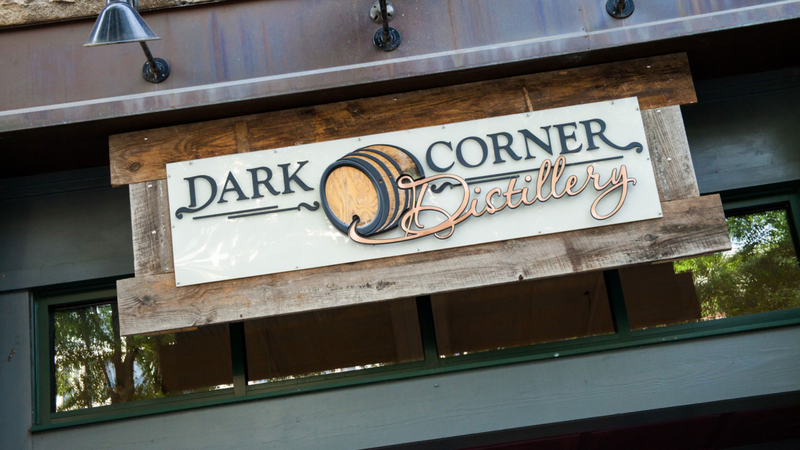 [vc_row][vc_column][vc_column_text]If it’s been a little while since you last visited Dark Corner Distillery, you might not be aware that they moved to a new location in July. Don’t panic! You can still find your favorite whiskey distillery on South Main Street in Greenville’s beautiful downtown district. In fact, Dark Corner Distillery moved just three blocks from their original location to their new stomping grounds at 14 South Main. Although close, the new location is nearer to the heart of downtown, where it will be much more accessible to visitors. In fact, according to the 2015 Downtown Greenville Pedestrian Counts report, the new location will see almost double the foot traffic during the week and three times as much on the weekend. With a growing number of locals and tourists alike falling in love with the distillery’s award-winning spirits, many will enjoy its new, more centralized location. Wondering what to expect in the new space? Their retail shop features items you can’t find anywhere else such as their Age Your Own Whiskey Barrel and Moonshine Peach Salsa. While you’re there scooping up one-of-a-kind gifts, take advantage of the 30 minute “Talk & Tasting” which includes a brief history of the Dark Corner Distillery, a peek at their distilling process, and a chance to learn more about what makes the flavor profiles of their spirits so unique. You’ll get an opportunity to try six different samples, and they’ll even send you home with a free gift! The tasting room is also available for parties, groups, and corporate events. with world-class craft spirit distilleries.